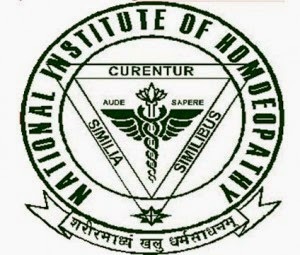 National Institute of Homoeopathy, Kolkata has been invited applications for admission to BHMS Degree Course in Homoeopathy for 2015 session. Eligibility: Applicants who have passed Higher Secondary (10+2) or its equivalent examination with five subjects including Physics, Chemistry, Biology and English and obtained 50 percent marks in aggregate (45 percent marks for SC/ST Applicants) are eligible to apply. Age limit: To be eligible for the all India Common Admission Test (CAT), the Applicant should attain 17 years but not crossed the age of 25 years as on by 31st December 2015. Those born on or before 31st December 1990 or after 01st January 1999 are not eligible. Admission Test: The All India Admission Test will be held at seven centres Kolkata, New Delhi, Mumbai, Chennai, Hyderabad, Thiruvanthapuram and Bhopal.